Dundee Mountain Film Festival is fast approaching. The 35th Dundee Mountain Film Festival opens on the 23rd November this year, featuring a great range of films and speakers, covering everything from walking the hills to global adventuring and cutting edge climbing. 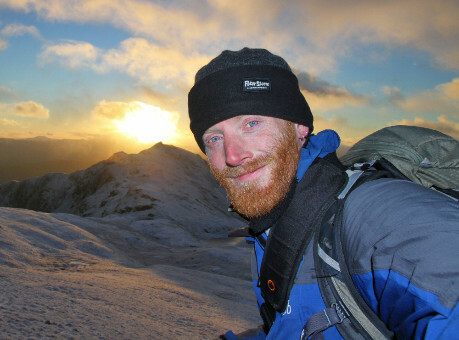 Saturday will have three major speakers, starting off with the ubiquitous Ben Dolphin, writer, blogger, countryside ranger and President of Ramblers Scotland. Despite such a busy schedule, when he delivers the Irvine Butterfield Memorial Lecture he�ll be talking about how slowing down and stopping to take in his surroundings was the secret of getting the best out of the hills. With a different perspective on the adventure game, larger-than-life climber Robbie Phillips will be sharing his experiences of �Life on the Wall� as the finale of the afternoon session, with a madcap attitude that reflects his shirts, taking himself rather less than seriously, but completely dedicated to his climbing. Later on Saturday evening double Everest summiteer Mollie Hughes will be speaking about her achievement, being the youngest woman, at 26, to reach the summit from both the north and the south. Mollie, who started climbing mountains at 17, on a school trip to Mount Kenya, has since climbed in most of the big ranges. The festival will open on Thursday evening, 23 November, with film-maker Richard Else talking about Alfred Wainwright, a man most commonly associated with the Lake District. However Richard, who knew Wainwright well in the final years of his life, will talk about the writer�s fascination with and many visits to Scotland. On Friday evening adventure travellers Luke and Hazel Robertson will talk about their recent cycling and kayaking journey through Alaska. Up on the screen, over the Friday and Saturday, there will be a range of films covering all aspects of adventuring as well as walking, climbing and mountaineering. There�ll be a selection from the Banff Mountain Film Festival World Tour, Scottish sea stack climbing, kayaking, BASE jumping, skiing, cycling and more � including a celebration of the life and work of the late Ken Wilson, who, amongst many other things, compiled the much-loved and inspirational books �Classic Rock� and �Hard Rock�. And between films and talks there will be a range of displays and exhibitions. Read more about the festival and how to book tickets in advance. Ben Dolphin, delivering the Irvine Butterfield Memorial Lecture.